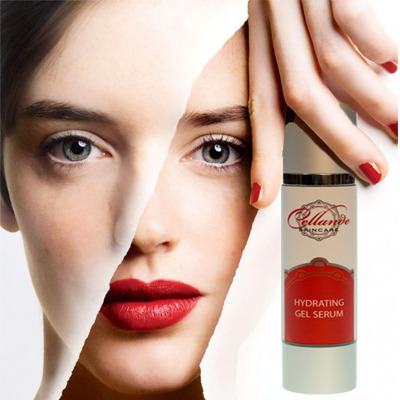 Hydrating Gel (Facial) Serum - A powerful complex of plant actives and nutrients prompts fresh new cellular growth. Patented Eyeseryl™ technology delivers the potent active ingredients deep into cell producing layers, where they initiate the birth of healthy, new skin, while boosting the skin’s own natural repair process, stimulating the production of collagen deep within the dermis, restoring and maintaining the skin’s textural quality and glowing good health. Purified Water, Aloe Leaf Juice, Glycerine Vegetable, Algin, MSM, Organic Calendula, Organic Chamomile, Organic Gotu Kola, Organic Horsetail, Organic Marshmallow, Squalene, Eyeseryl, Phenoxyethanol, Cucumber Extract, Potassium Sorbate, Beta Glucan, Cucumber Oil, Bulgarian Lavender. Place a small amount of Hydrating Serum onto the end of clean fingers and gently massage onto the skin using a circular motion, work gently over sensitive areas. Apply gently around the eyes, leaving it to dry naturally.